Dr. Suresh Mathews received his postdoctoral training in obesity and diabetes at Wayne State University School of Medicine in Detroit, Mich. He was later appointed Assistant Professor at Wayne State and served there until he joined the Department of Nutrition at Auburn University in 2005. At Auburn, Mathews served as associate professor and graduate program director before joining Samford University in 2015. Mathews is a Fellow of the American College of Nutrition. He has over 80 publications, and has been funded by research grants from the American Diabetes Association, USDA National Institute of Food and Agriculture and others. He serves as a reviewer for several leading journals and funding agencies, and is an invited speaker at conferences and symposia worldwide. Mathews is committed to scholarly excellence at both undergraduate and graduate levels. He mentors undergraduate students and has directed Master’s thesis and Ph.D. dissertation research and is noted for his unique ability to inspire students through teaching, drawing from personal and cross-cultural experiences. He has been recognized with several teaching awards and many of the students he has mentored are working at leading institutions and top job sites. 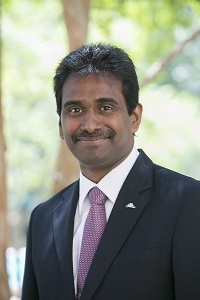 Outside of academia, Mathews has served as the President of the Indian Cultural Association of East Alabama and the Vice-President of the Hermon Mar Thoma Church in Atlanta. He continues to coordinate Mission trips for youth and leads a small group at home. Mechanisms of insulin resistance in human obesity and type 2 diabetes, novel biomarkers, gene expression, and metabolism; bioactive components from plants in the prevention and management of obesity and type 2 diabetes. Amin, R. H., Mathews, S.T ., Alli, A., & Leff, T. (2010). Endogenously produced adiponectin protects cardiomyocytes from hypertrophy by a PPAR?-dependent autocrine mechanism. American Journal of Physiology-Heart and Circulatory Physiology , 299 (3), H690–H698. Amin, R. H., Mathews, S.T ., Camp, H. S., Ding, L., & Leff, T. (2010). Selective activation of PPAR? in skeletal muscle induces endogenous production of adiponectin and protects mice from diet-induced insulin resistance. American Journal of Physiology-Endocrinology and Metabolism , 298 (1), E28–E37. Chu, A. J., & Mathews, S. T. (2003). Anticoagulant potential of an antibody against factor VII. Journal of Surgical Research , 114 (1), 37–41. Chu, A. J., Rauci, M., Nwobi, O. I., Mathews, S. T., & Beydoun, S. (2003). Novel anticoagulant activity of polyamino acid offsets bacterial endotoxin-induced extrinsic hypercoagulation: downregulation of monocytic tissue factor-dependent FVII activation. Journal of Cardiovascular Pharmacology , 42 (4), 477–483. Chu, A. J., Beydoun, S., Mathews, S.T ., & Hoang, J. (2003). Novel anticoagulant polyethylenimine: inhibition of thrombin-catalyzed fibrin formation. Archives of Biochemistry and Biophysics , 415 (1), 101–108. Chu, A. J., & Mathews, S.T . (2003). Poly-L-histidine downregulates fibrinolysis. Blood Coagulation & Fibrinolysis , 14 (7), 627–632. Chu, A., Rauci, M., Nwobi, O., Mathews, S. , & Beydoun, S. (2002). Novel anticoagulant activity of polybrene: inhibition of monocytic tissue factor hypercoagulation following bacterial endotoxin induction. Blood Coagulation & Fibrinolysis , 13 (2), 123–128. Desai, G. S., Desai, S. V., Gavaskar, R. S., Mulabagal, V., Wu, Y., & Mathews, S.T . (2015). Blood Glucose-lowering Effect of T. procumbens L.: A Pilot Clinical Study in Individuals with Type 2 Diabetes. Phytotherapy Research . Desai, G. S., & Mathews, S.T . (2014). Saliva as a non-invasive diagnostic tool for inflammation and insulin-resistance. World Journal of Diabetes , 5 (6), 730. Desai, G. S., Zheng, C., Geetha, T., Mathews, S.T ., White, B. D., Huggins, K. W., & Babu, J. R. (2013). The pancreas-brain axis: insight into disrupted mechanisms associating type 2 diabetes and Alzheimer’s disease. Journal of Alzheimer’s Disease: JAD , 42 (2), 347–356. Grunberger, G., Mathews, S. T., & Deutsch, D.D. (2002). 15. TYROSINE KINASE INHIBITORS. Insulin Signaling: From Cultured Cells to Animal Models , 281. Grunberger, G., Qiang, X., Li, Z., Mathews, S. , Sbrissa, D., Shisheva, A., & Sima, A. (2001). Molecular basis for the insulinomimetic effects of C-peptide. Diabetologia , 44 (10), 1247–1257. Kaushik, S. V., Plaisance, E. P., Kim, T., Huang, E. Y., Mahurin, A. J., Grandjean, P. W., & Mathews, S.T . (2009). Extended-release niacin decreases serum fetuin-A concentrations in individuals with metabolic syndrome. Diabetes/metabolism Research and Reviews , 25 (5), 427–434. Kim, T., Davis, J., Zhang, A. J., He, X., & Mathews, S.T . (2009). Curcumin activates AMPK and suppresses gluconeogenic gene expression in hepatoma cells. Biochemical and Biophysical Research Communications , 388 (2), 377–382. Kothari, V., & Mathews, S.T . (2015). Detection of Blotted Proteins: Not All Blockers Are Created Equal. Detection of Blotted Proteins: Methods and Protocols , 27–32. Leff, T., Mathews, S.T ., & Camp, H. S. (2004). Review: peroxisome proliferator-activated receptor-? and its role in the development and treatment of diabetes. Journal of Diabetes Research , 5 (2), 99–109. Mathews, S.T ., Cintron, V., Qiang, X., Singh, G., Jahnen-Dechent, W., Goustin, A., & Grunberger, G. (2001). Enhanced glucose clearance and insulin sensitivity in fetuin-deficient mice. Journal of Diabetes and Its Complications, 1(15), 23. Mathews, S.T ., Kumaresan, P., & Selvam, R. (1991). Glucose-6-phosphate dehydrogenase deficiency and malaria–a study on north Madras population. The Journal of Communicable Diseases, 23(3), 178–181. Mathews, S.T ., & Selvam, R. (1991). Effect of radical treatment on erythrocyte lipid peroxidation in Plasmodium vivax-infected malaria patients. Biochemistry International, 25(2), 211–220. Mathews, S.T ., Graff, E., Judd, R. L., & Kothari, V. (2015). Comparison of Chemiluminescence vs. Infrared Techniques for Detection of Fetuin-A in Saliva. Detection of Blotted Proteins: Methods and Protocols, 333–348. Mathews, S.T ., Plaisance, E. P., & Kim, T. (2009). Imaging systems for westerns: chemiluminescence vs. infrared detection. In Protein Blotting and Detection (pp. 499–513). Springer. Mathews, S.T ., Rakhade, S., Zhou, X., Parker, G. C., Coscina, D. V., & Grunberger, G. (2006). Fetuin-null mice are protected against obesity and insulin resistance associated with aging. Biochemical and Biophysical Research Communications, 350(2), 437–443. Mathews, S.T ., & Selvam, R. (1993). Changes in glutathione metabolic enzymes in erythrocytes of Plasmodium vivax infected patients. Clinica Chimica Acta, 219(1), 159–165. Mathews, S.T ., Singh, G. P., Ranalletta, M., Cintron, V. J., Qiang, X., Goustin, A. S., & Grunberger, G. (2002). Improved insulin sensitivity and resistance to weight gain in mice null for the Ahsg gene. Diabetes, 51(8), 2450–2458. Mathews, S.T ., Srinivas, P. R., Leon, M. A., & Grunberger, G. (1997). Bovine fetuin is an inhibitor of insulin receptor tyrosine kinase. Life Sciences, 61(16), 1583–1592. Mathews, S.T ., & Selvam, R. (1991). Serum cholinesterase and erythrocyte acetylcholinesterase activities in patients infected with Plasmodium vivax. Medical Science Research, 19(23), 807–809. Mathews, S.T ., Chellam, N., Srinivas, P. R., Cintron, V. J., Leon, M. A., Goustin, A. S., & Grunberger, G. (2000). a 2-HSG, a specific inhibitor of insulin receptor autophosphorylation, interacts with the insulin receptor. Molecular and Cellular Endocrinology, 164(1), 87–98. Mathews, S.T ., Deutsch, D. D., Iyer, G., Hora, N., Pati, B., Marsh, J., & Grunberger, G. (2002). Plasma a 2-HS glycoprotein concentrations in patients with acute myocardial infarction quantified by a modified ELISA. Clinica Chimica Acta, 319(1), 27–34. Moss, C. J., & Mathews, S.T . (2013). Thiamin status and supplementation in the management of diabetes mellitus and its vascular comorbidities. Vitam Miner , 2 (111), 2. Qiang, X., Srinivas, P., Mathews, S.T ., Riedel, H., Sima, A., & Grunberger, G. (2001). C-peptide stimulates glycogen synthesis in L6 myoblasts. Journal of Diabetes and Its Complications , 1 (15), 21. Rege, S. D., Kumar, S., Wilson, D. N., Tamura, L., Geetha, T., Mathews, S.T ., Huggins, K.W., Broderick, T.L., & Babu, J. R. (2013). Resveratrol protects the brain of obese mice from oxidative damage. Oxidative Medicine and Cellular Longevity , 2013 . Ren, G., Okerberg, C. K., & Mathews, S.T . (2012). Ultrasensitive Protein Detection and Imaging: Comparison of Lumitein TM , ProteoSilver TM , SYPRO® Ruby, and Coomassie® Brilliant Blue Gel Stains. In Protein Electrophoresis (pp. 621–632). Springer. Rimando, A. M., Khan, S. I., Mizuno, C. S., Ren, G., Mathews, S.T ., Kim, H., & Yokoyama, W. (2015). Evaluation of PPARa activation by known blueberry constituents. Journal of the Science of Food and Agriculture . Selvam, R., & Mathews, S.T . (1992). Biochemical alterations in Plasmodium vivax-infected malarial patients before and after radical treatment. Indian Journal of Malariology , 29 (2), 103–111. Srinivas, P. R., Deutsch, D. D., Mathews, S.T ., Goustin, A. S., Leon, M. A., & Grunberger, G. (1996). Recombinant human a 2-HS glycoprotein inhibits insulin-stimulated mitogenic pathway without affecting metabolic signalling in Chinese hamster Ovary cells overexpressing the human insulin receptor. Cellular Signalling , 8 (8), 567–573. Zhang, A. J., Rimando, A. M., Fish, W., Mentreddy, S. R., & Mathews, S.T . (2012). Serviceberry [Amelanchier alnifolia (Nutt.) Nutt. ex. M. Roem (Rosaceae)] leaf extract inhibits mammalian a-glucosidase activity and suppresses postprandial glycemic response in a mouse model of diet-induced obesity and hyperglycemia. Journal of Ethnopharmacology , 143 (2), 481–487. Amin, R., Mathews, S.T ., Alli, A., & Leff, T. (2011). Endogenously produced adiponectin protects cardiomyocytes from hypertrophy by a PPAR-dependent autocrine mechanism (vol 299, pg H690, 2010). AMERICAN JOURNAL OF PHYSIOLOGY-HEART AND CIRCULATORY PHYSIOLOGY , 300 (2), H714–H714. Bowers, R. L., Araya-Ramirez, F., Kim, T., Ludvigsen, R. A., Mahurin, A. J., Dennis, J. D., Dean, D.M., Mathews, S.T ., & Grandjean, P. W. (2009). Fetuin-A Responses To Exercise In Men With Metabolic Syndrome: 2984: Board# 131 May 30 8: 00 AM-9: 30 AM. MEDICINE & SCIENCE IN SPORTS & EXERCISE , 41 (5), 524. Davis, J., Kim, T., & Mathews, S.T . (2008). THE ROLE OF CURCUMIN IN INSULIN ACTION AND GLUCOSE METABOLISM. Functional Foods for Chronic Diseases: Advances in the Development of Functional Foods , 72. Desai, G., Desai, S., Gavaskar, R., & Mathews, S. (2014). Blood glucose lowering effect of Tridax procumbens in type 2 diabetes may be attributed to AMPK activation and suppression of hepatic gluconeogenesis (259.8). The FASEB Journal , 28 (1 Supplement), 259–8. Grandjean, P. W., Mathews, S.T ., Araya-Ramirez, F., Taylor, J. K., He, X., & Mahurin, A. J. (2010). Cytokine Responses To Daily Exercise In Men With Metabolic Syndrome: 2126: Board# 5 June 3 2: 00 PM-3: 30 PM. MEDICINE & SCIENCE IN SPORTS & EXERCISE , 42 (5), 517. Grandjean, P. W., Ren, G., He, X., Kim, T., Littlefield, L. A., Bowers, R. L., & Mathews, S.T . (2012). Fetuin-A Responses to Incremental Weight Loss. In MEDICINE AND SCIENCE IN SPORTS AND EXERCISE (Vol. 44, pp. 609–609). LIPPINCOTT WILLIAMS & WILKINS 530 WALNUT ST, PHILADELPHIA, PA 19106-3621 USA. Grunberger, G., Mathews, S. , & Srinivas, P. (1997). Alpha (2)-HS-glycoprotein inhibits trypsin-activated insulin receptor tyrosine kinase activity. In DIABETOLOGIA (Vol. 40, pp. 550–550). SPRINGER VERLAG 175 FIFTH AVE, NEW YORK, NY 10010. Grunberger, G., Qiang, X., Mathews, S. , Li, Z., Sima, A., Sbrissa, D., & Shisheva, A. (2000). C-peptide stimulates glycogen synthesis via a wortmannin-sensitive and akt-independent pathway. In DIABETES (Vol. 49, pp. A447–A448). AMER DIABETES ASSOC 1660 DUKE ST, ALEXANDRIA, VA 22314 USA. Grunberger, G., Srinivas, P., Mathews, S. , Leon, M., & Goustin, A. (n.d.). P-71: a2-HS glycoprotein inhibits insulin-stimulated insulin receptor signaling in vitro and in vivo. EXPERIMENTAL AND CLINICAL ENDOCRINOLOGY AND DIABETES , 104 (S 02), 136–138. Hegele, R. A., Cao, H., Frankowski, C., Mathews, S.T ., & Leff, T. (2002). PPARG F388L, a transactivation-deficient mutant, in familial partial lipodystrophy. DIABETES , 51 (12), 3586–3590. Kim, T., Davis, J., Zhang, A., & Mathews, S. (2008). Curcumin Activates AMPK and Suppresses Gluconeogenic Gene Expression in Hepatoma Cells. PLANTA MEDICA , 74 (03), O–3. Li, G., Mathews, S. , & Leff, T. (2004). Molecular analysis of a lipodystrophy associated point mutation (Arg425Cys) in the human PPARG gene. In DIABETES (Vol. 53, pp. A276–A276). AMER DIABETES ASSOC 1701 N BEAUREGARD ST, ALEXANDRIA, VA 22311-1717 USA. Littlefield, L. A., Bowers, R. L., Araya-Ramirez, F., Mahurin, A. J., Taylor, J. K., Kim, T., He, X., Mathews, S.T ., & Grandjean, P. W. (2012). Changes in Fibroblast Growth Factor 21 with Modest Weight Loss. In JOURNAL OF GENERAL INTERNAL MEDICINE (Vol. 27, pp. 669–669). SPRINGER 233 SPRING ST, NEW YORK, NY 10013 USA. Littlefield, L. A., Bowers, R. L., Araya-Ramirez, F., Mahurin, A. J., Taylor, J. K., Kim, T., He, X., Mathews, S.T ., & Grandjean, P. W. (2011). Changes in Fibroblast Growth Factor 21 with Modest Weight Loss: 2462: Board# 70 June 3 9: 00 AM-10: 30 AM. MEDICINE & SCIENCE IN SPORTS & EXERCISE , 43 (5), 669. Mathews, S.T ., Ren, G., He, X., Bowers, R., Araya-Ramirez, F., Littlefield, L., & Grandjean, P. (2014). Plasma fetuin-A and phosphofetuin-A (Ser312) responses to a single or short-term repeated bout of exercise in obese and normal-weight individuals (1028.2). The FASEB Journal, 28(1 Supplement), 1028–2. Mathews, S.T ., Kim, T., Zhang, A., Fish, W., Rimando, A., & Mentreddy, S. (2008). Anti-diabetic properties of serviceberry (Amelanchier alnifolia). PLANTA MEDICA, 74(03), P–70. Mathews, S.T ., Hegele, R., & Leff, T. (2003). Molecular analysis of a human PPAR gamma mutation associated with lipodystrophy and diabetes. In DIABETOLOGIA (Vol. 46, pp. A226–A226). SPRINGER-VERLAG 175 FIFTH AVE, NEW YORK, NY 10010 USA. Mathews, S.T ., Kaushik, S., Plaisance, E., Kim, T., Huang, E., Mahurin, A., & Grandjean, P. (2008). Association of fetuin-A with decreased serum triglyceride after six weeks of extended-release niacin intervention in individuals with metabolic syndrome. In DIABETOLOGIA (Vol. 51, pp. S374–S374). SPRINGER 233 SPRING ST, NEW YORK, NY 10013 USA. Mathews, S.T ., Singh, G., Qiang, X., Goustin, A., Jahnen-Dechent, W., & Grunberger, G. (2000). Mice null for Ahsg gene suggest a new physiological role for fetuin in insulin control of glucose homeostasis. In DIABETES (Vol. 49, pp. A6–A6). AMER DIABETES ASSOC 1660 DUKE ST, ALEXANDRIA, VA 22314 USA. Mathews, S.T ., Srinivas, P., Cintron, V., Leon, M., Goustin, A., & Grunberger, G. (1998). Alpha (2)-HS glycoprotein (human fetuin), a specific and reversible inhibitor of insulin receptor autophosphorylation, interacts with the insulin receptor. In DIABETES (Vol. 47, pp. A442–A442). AMER DIABETES ASSOC 1660 DUKE ST, ALEXANDRIA, VA 22314 USA. Mathews, S.T ., Rakhade, S., Zhou, X., Coscina, D., & Grunberger, G. (2002). Improved insulin sensitivity of fetuin-null mice protects aging induced obesity and insulin resistance. In DIABETES (Vol. 51, pp. A328–A328). AMER DIABETES ASSOC 1660 DUKE ST, ALEXANDRIA, VA 22314 USA. Mathews, S.T ., Singh, G., Santa Ana, L., Buison, E., Jen, K., Goustin, A., & Grunberger, G. (2000). Increased insulin sensitivity in mice lacking fetuin (AHSG) gene. In DIABETOLOGIA (Vol. 43, pp. A34–A34). SPRINGER-VERLAG 175 FIFTH AVE, NEW YORK, NY 10010 USA. Mathews, S.T ., Srinivas, P., Goustin, A., & Grunberger, G. (1996). Alpha (2)-HSG inhibits insulin-stimulated tyrosine phosphorylation of insulin receptor and IRS-1 in vivo. In DIABETES (Vol. 45, pp. 423–423). AMER DIABETES ASSOC 1660 DUKE ST, ALEXANDRIA, VA 22314. Mathews, S.T ., Kim, T., Davis, J., & Zhang, A. J. (2009). Molecular Mechanisms Mediating the Anti-Diabetic Effect of Curcuminoids. In DIABETES (Vol. 58, pp. A340–A340). AMER DIABETES ASSOC 1701 N BEAUREGARD ST, ALEXANDRIA, VA 22311-1717 USA. Mathews, S.T ., Ren, G., He, X., Kim, T., Okerberg, C., Papizan, J., & others. (2014). Ser312-phosphorylated fetuin-A: role in insulin action and insulin resistance. In DIABETOLOGIA (Vol. 57, pp. S97–S97). SPRINGER 233 SPRING ST, NEW YORK, NY 10013 USA. Mathews, S.T ., Srinivas, P., Grunberger, G., & Goustin, G. (1999). Role of map kinase signaling pathways in RSK2 activation in vascular smooth muscle cells. In FASEB JOURNAL (Vol. 13, pp. A1489–A1489). FEDERATION AMER SOC EXP BIOL 9650 ROCKVILLE PIKE, BETHESDA, MD 20814-3998 USA. Mathews, S.T ., Grandjean, P. W., He, X., Bowers, R., Kim, T., Ludvigsen, R. A., & Dean, D. M. (2010). Temporal Changes in Serum Fetuin-A Concentrations in Response to an Oral Glucose Challenge and a Single Bout of Exercise in Obese Versus Lean Individuals. In DIABETES (Vol. 59, pp. A126–A126). AMER DIABETES ASSOC 1701 N BEAUREGARD ST, ALEXANDRIA, VA 22311-1717 USA. Mathews, S.T ., & Selvam, R. (1991). PEROXIDES AND ANTIPEROXIDATIVE AGENTS IN RED BLOOD CELLS IN HUMAN MALARIA. Biomembranes In Health And Disease (2 Volume Set), 2, 545. Qiang, X., Li, Z., Mathews, S.T ., Sima, A., & Grunberger, G. (2001). Are C-peptide effects mediated by the insulin receptor? In DIABETES (Vol. 50, pp. A257–A257). AMER DIABETES ASSOC 1660 DUKE ST, ALEXANDRIA, VA 22314 USA. Rimando, A. M., Khan, S., Mizuno, C. S., Guang, R., Mathews, S.T ., Kim, H., & Yokoyama, W. (2013). Further studies demonstrate PPARa activation and gene expression up-regulation by pterostilbene. In ABSTRACTS OF PAPERS OF THE AMERICAN CHEMICAL SOCIETY (Vol. 246). AMER CHEMICAL SOC 1155 16TH ST, NW, WASHINGTON, DC 20036 USA. Rimando, A. M., Mizuno, C. S., Zhang, A. J., & Mathews, S.T . (2009). Alpha-glucosidase inhibitory activity of resveratrol analogs. In ABSTRACTS OF PAPERS OF THE AMERICAN CHEMICAL SOCIETY (Vol. 237, pp. 112–112). AMER CHEMICAL SOC 1155 16TH ST, NW, WASHINGTON, DC 20036 USA. Rimando, A. M., Ren, G., & Mathews, S.T . (2012). Pterostilbene increases PPAR alpha gene expression, activates AMPK, and suppresses expression of genes involved in hepatic lipid metabolism and gluconeogenesis. In PHARMACEUTICAL BIOLOGY (Vol. 50, pp. 642–643). INFORMA HEALTHCARE TELEPHONE HOUSE, 69-77 PAUL STREET, LONDON EC2A 4LQ, ENGLAND. Rong, Y., Ren, G., Mathews, S.T ., Huggins, K. W., & Rong, Y. (2011). Stearidonic acid suppresses adipocyte differentiation by decreasing adipogenic gene expression. The FASEB Journal , 25 (1_MeetingAbstracts), 777–33. Viswaprakash, N., Leff, T., Mathews, S.T ., & Amin, R. H. (2010). Cardiomyocyte Specific Adiponectin Protects the Cell Against Cardiac Hypertrophy Via a PPAR-Gamma Mediated Autocrine Mechanism. In DIABETES (Vol. 59, pp. A427–A428). AMER DIABETES ASSOC 1701 N BEAUREGARD ST, ALEXANDRIA, VA 22311-1717 USA. Research is focused on understanding the molecular mechanisms of insulin resistance, a hallmark of obesity and type 2 diabetes. Mathews has pioneered the research on fetuin-A, a blood protein, which is shown to be associated with insulin resistance, incidence of type 2 diabetes, and is currently studied as a novel biomarker for risk of diabetes. Currently, his research goal is to characterize fetuin-A’s mechanism of action as it relates to insulin resistance in conditions of human obesity, metabolic syndrome, and diabetes. Another area of active interest is the role of medicinal plants and phytochemicals in obesity prevention and improving insulin action. Current research on Curcuma longa (turmeric), Tridax procumbens (coat buttons), Amelanchier alnifolia (serviceberry), and Ocimum sanctus (holy basil) have generated interesting leads on antidiabetic mechanisms of these extracts/bioactives.